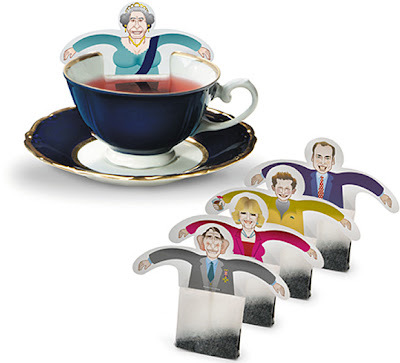 The RoyalTea Tea bags designed by German design company Donkey Products. 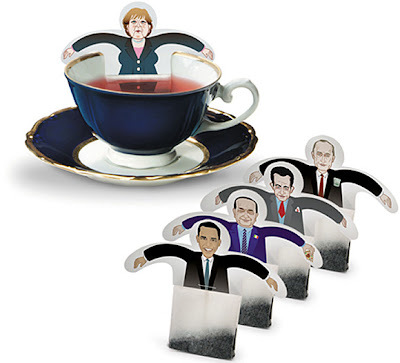 You can have a “TeaParty” with you favorite characters or strippers with the RoyalTea, DemocraTea and StripTea sets. Each one has five tea bag sachets.